Get your appetites ready. Chicago's first everChicago Food Truck Rally, featuring eight of Chicago's most popular food trucks, will be rallying at Daley Plaza this Friday, October 11. The event, presented by Mayor Rahm Emanuel and the Department of Cultural Affairs and Special Events (DCASE), will feature Goose Island Beer, entertainment and the trucks from 11 a.m. until 8 p.m.
Beavers is Chicago's first and only food truck serving hot mini donuts with various gourmet toppings and fresh ground imported coffee. Catch the Halloween spirit with their Pumpkin Pie Donut or try Show Me Chicago's favorite the Nutella Dream. 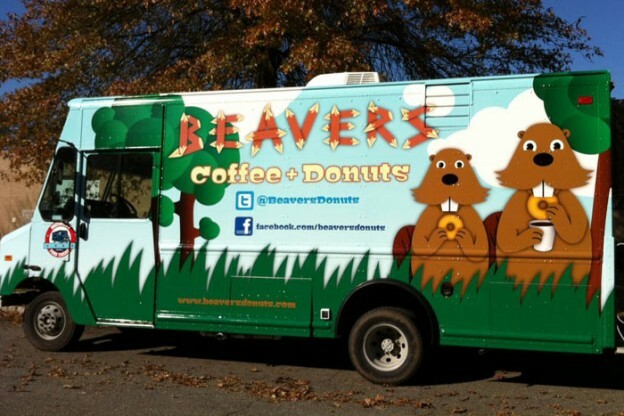 Best deal for the dough: The busy Beaver for $4 features 3 mini donuts, regular topping and coffee. Pasties, the original “convenience food" have been compared to a pot pie on a stick. Originating in Cornwall, England the pasty was served as an portable and nutritious food for Cornish tin miners. Word of this popular snack spread to the US where it became a staple in many worker's lunch boxes. 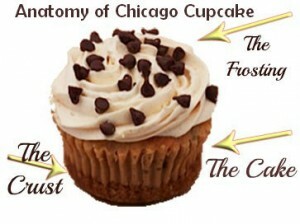 Now Chicago workers, students and visitors can indulge in this satisfying treat. The Bridgeport Pasty truck offers a full menu of selections from veggie pasties to the more traditional meat and potato choices. For a crisp fall day try the Oinkle made with pork sausage, chunks of apple, onion and potato that's flavored with a touch of sage for a taste of pasty perfection. Not just another cupcake (picture), Chicago Cupcake's Banana Foster--a banana cake infused with brown sugar and rum on a graham cracker crust topped with brown sugar Italian buttercream is just one of their many creative concoctions. Not even a month old, Chicago Lunchbox has already made a name for itself with their Asian street food, spring rolls, tacos, rangoon and Vietnamese Banh Mi, with a twist. Sandwich wiz John Nguyen draws from his Vietnamese-American background to create the authentic flavors. Jerk 312 serves Jamaican street-food inspired by Dion Solano’s childhood memories of the food he ate from Jamaican pushcarts. Expect the unexpected with tastes including jerk chicken prepared with Dion's special Rude Boy jerk sauce. Add some jerk fries and your in jerk heaven. Putting the cart before the horse, PorkChop was/is a late-night BBQ and whiskey bar destination in the West Loop...so first came the brick and mortar then came the truck. 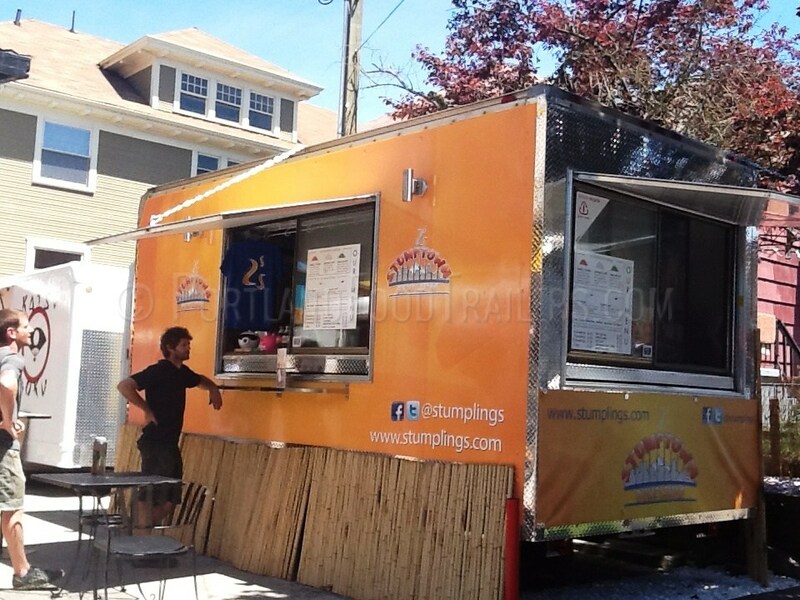 The PorkChop truck features the bar's popular pulled pork, pulled chicken and brisket sliders. Add a side of mac ‘n’ cheese and you'll see why PorkChop is a Chicago favorite. The Fat Shallot is not just another food truck. The husband and wife team of Sam Barron and Sarah Weitz have traveled around the world and back in search of the best. Locally, Sam served a long stint at the four-star Everest Restaurant and also was sous-chef at the reopened Pump Room. Expect "The Fat Shallot's" classic sandwiches to be served with upscale flair. Take, for example, their grilled cheese sandwich. Forget those American cheese sandwiches on Wonder Bread that you had as a kid and step up to their muenster cheese melted between slices of sourdough with sautéed spinach and caramelized onions. 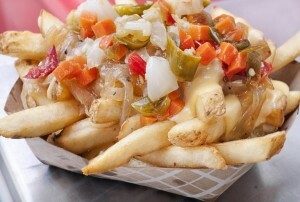 Or try one of their specially seasoned fries for a real treat. What could be better than Mexican street food washed down with authentic Mexican coke. The Salsa Truck’s fresh, homemade food doesn’t end at salsa. You'll find hearty chili and soups in the winter, crisp salads in the summer, and weekly taco and quesadilla specials designed to pair perfectly with their signature salsas.